Denying workers a choice in where they can buy their prescription drugs can save companies money, but many workers say the choice is simply too important. Jamie Mueller has had heart problems since suffering complications from rheumatic fever as a child. Now 51, and mother to a 13-year-old girl, the longtime Labatt employee takes seven different pills a day. For 10 years, she filled her prescriptions at the same pharmacy in London, Ont., about two hours west of Toronto, where she had "full faith and confidence" in her pharmacist. But that comfortable routine ended in October 2015 when Labatt told its employees they would have to order their prescriptions through a mail-order pharmacy called Express Scripts Canada to help cut costs in the employee benefits program. Mueller said the trouble started with the very first delivery, which was missing three of her medications. The shipments that followed were rarely error-free, she said. "It was so awful. I'm on heart medication. This is not insignificant," Mueller said. "I'm suffering and worrying, and some big people behind the scenes are making these decisions about my health and medication." Sometimes the dosages would be wrong. One delivery was left sitting outside her front door for hours. Mueller said she would spend an exhausting amount of time on the phone with customer service representatives at Express Scripts. The fact that it would always be someone different on the line only added to her stress. "A broken system that delivers me the wrong medications, or doesn't deliver them on time, or where the dosages are wrong, could quite honestly kill me!" Mueller told CBC News. A growing number of insurance companies are using mail-order pharmacies to try to save money by creating what's known as preferred pharmacy networks (PPNs). A PPN can make it mandatory for employees to use a specific pharmacy or group of pharmacies to get some or all of their medications. 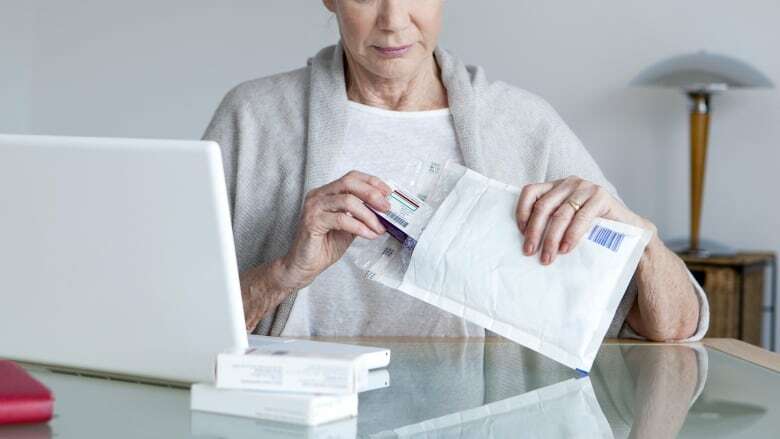 Express Scripts Canada is the largest mail-order pharmacy in Canada that's not connected to a retail or chain pharmacy. Launched in 2011, it promises "to better meet the needs of its customers by making it possible to significantly reduce the cost of providing a prescription drug benefit." It's an accredited and licensed pharmacy registered in B.C., Manitoba, Ontario and New Brunswick and is mainly used for maintenance medications, which are prescriptions that treat chronic or long-term conditions such as high blood pressure, heart disease and diabetes. Customers can receive a 90-day supply for a single dispensing fee. Mueller and her co-workers complained about the program, and their union eventually won a grievance against Labatt, forcing the company to remove the mandatory use of Express Scripts Canada from its plan. In April, Labatt employees in Creston, B.C., won a similar grievance. More than 225 Labatt employees at locations in Mississauga, Ont., Halifax and St. John's must still use Express Scripts Canada while their unions are fighting the same battle. Charlie McNaught is one of those workers. The truck driver based in Mississauga is often on the road and can't always be home when his seven different medications are delivered. McNaught said six deliveries so far this year didn't contain the correct amount of medication. He would have to go several days without vital pills, which caused his doctor to go "ballistic." Labatt declined CBC 's request for an interview. In the brewer's response to the union grievance in London, senior manager of rewards Robin Doobay said Express Scripts Canada would provide "some relief against the cost of the employee co-payment" and that "the lower drug prices will also benefit employees by helping to keep the benefit plan sustainable in the longer term for everyone covered." "While not 100 per cent perfect," Doobay said, "the [Express Scripts Canada] program is generally working well for our employees in Canada. Most, if not all of these problems are resolvable in one form or another." ANALYSIS| Does your doctor get money from drug companies? Other Canadian companies have experienced similar problems after switching to mandatory use of Express Scripts Canada. Canadian Pacific Railway signed up with the pharmacy in 2012. Henry Helfenbein, vice-president of Teamsters Canada Rail Conference, which represents some 2,500 maintenance workers at CP, said approximately 70 per cent of its members work on production crews and are away from home for most of the week, making it difficult to receive deliveries. Helfenbein said he understands CP wants to cut costs, but the logistics just don't work for everybody. Canada Post tried Express Scripts Canada in 2013 as a pilot project, but according to union spokesperson Farouk Karim, it "was not popular mainly because … people are attached to their pharmacy and pharmacist." The service is still offered on a voluntary basis and Canada Post says many employees continue to use it. 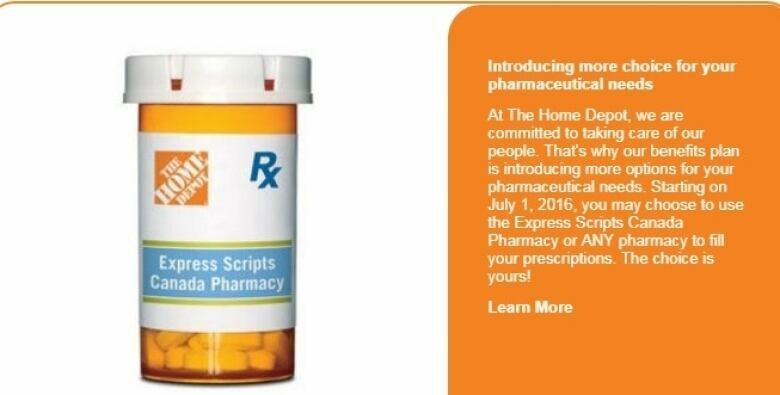 The Home Depot Canada made the move in March 2016, but after employees complained the company posted a statement saying it has "come to realize that one size doesn't fit all," and gave its workers the option to choose their own pharmacies. In Quebec, Bill 92 prohibits group insurance contracts and employee benefit plans from limiting members' freedom to choose their pharmacist. 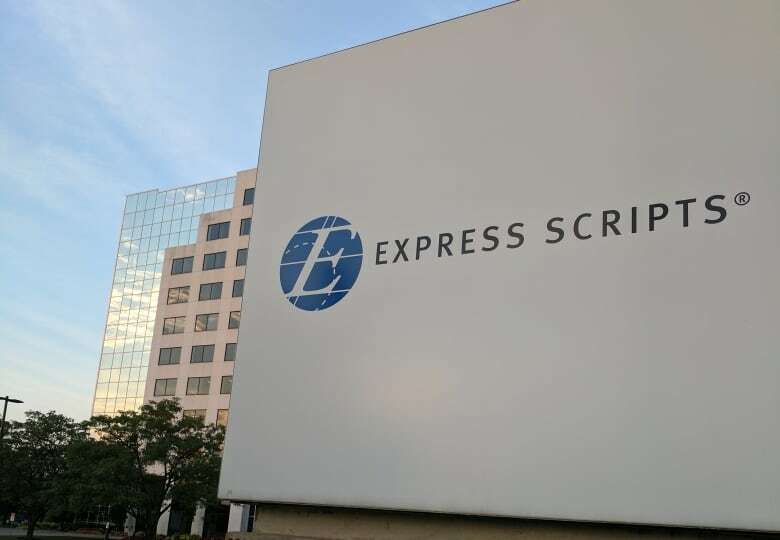 Express Scripts Canada declined CBC's interview request but said in a statement it's "proud of the effective, efficient service that our Express Scripts Canada pharmacy provides to Canadians." "Our patient satisfaction rating reflects that our patients are very happy," the statement says. "There are always unique circumstances that contribute to less than satisfactory service in the short term but those do get resolved very quickly." 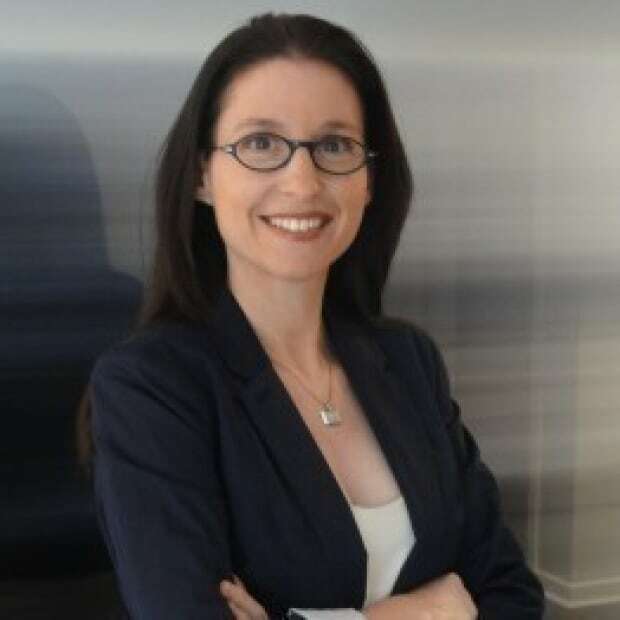 Brian Lindenberg, senior partner at Mercer, a global health and benefits consultant, expects health-care costs will increase 130 per cent by 2025, so companies will be seeking a variety of options to try to control them. "So there is a bit of a different headspace," he said. "Many of them are now prepared to say, 'You know what? If I can save, say, between five and 15 per cent of my drugs spend by asking my employees to behave in a different way, I am prepared to do that.'" Jamie Mueller said she was "relieved" when her union won its fight, and she immediately went back to her local pharmacy. She said she feels for workers who aren't given a choice. ANALYSIS | Does your doctor get money from drug companies? For information on this or other stories, please contact lori.ward@cbc.ca.